In particular, a large octopus can be a risky prey for predators to tackle. This is especially so for marine mammals, such as dolphins, which don't have hands to help them keep control of this clingy, eight-armed prey. It's another example of a strategy that helps to drive the success of dolphins in coastal environments around Australia. Wild dolphins face many threats in today's oceans, yet it was a gruesome surprise when we found octopus arms hanging out of the stranded dolphin's mouth. 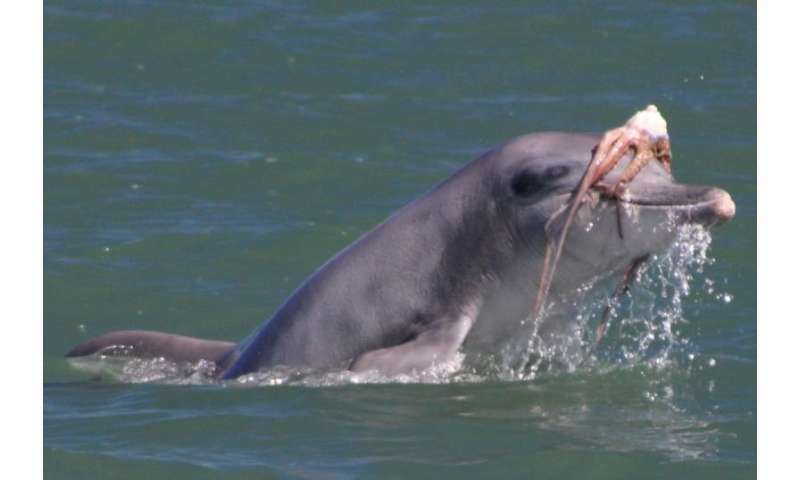 An examination by a veterinary pathologist revealed that this otherwise healthy dolphin, known as "Gilligan" to the research team, had suffocated to death while trying to eat an octopus. But when attacked by a dolphin, these suckered arms also help octopuses to defend themselves by latching onto the dolphin's smooth skin. But we've observed some wild bottlenose dolphins that have found a way to handle and feed on octopus, with the findings published today in Marine Mammal Science. These observations were made between March 2007 and August 2013, while we were conducting boat surveys to study the dolphins living off Bunbury's coast. 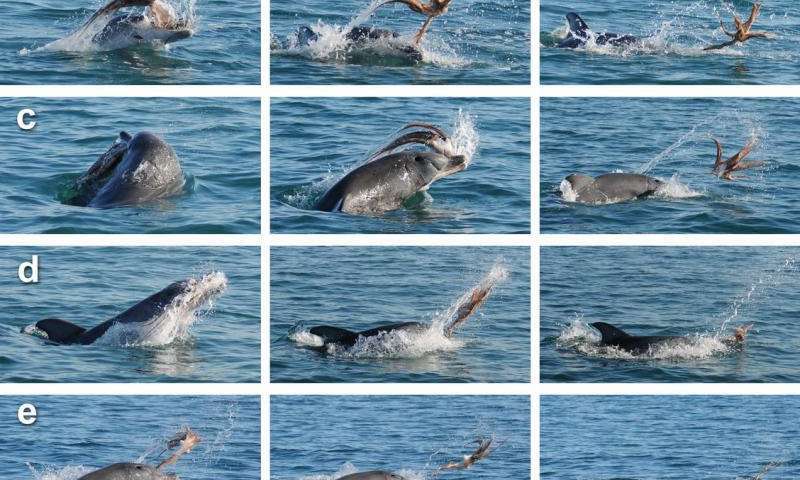 During these events, dolphins were observed shaking and tossing octopus around at the water's surface. In some instances, the prey was gripped in the teeth before being slapped down onto the water. By tossing the octopus across the water, dolphins avoid letting the octopus latch onto their bodies. 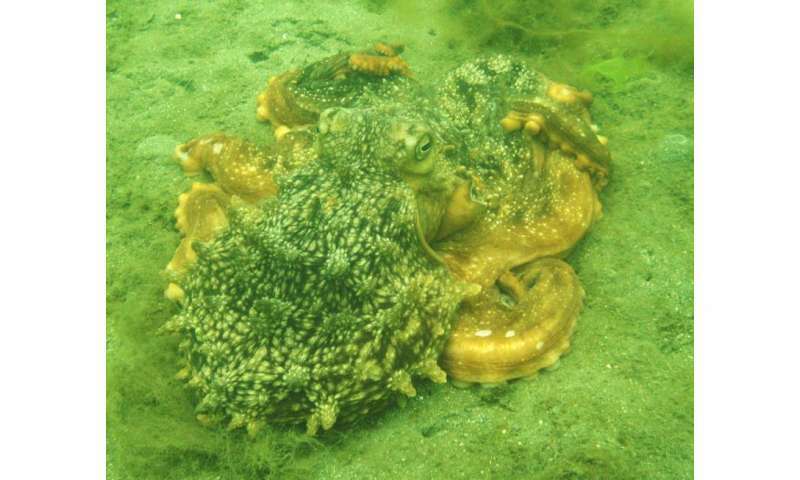 This behaviour also likely assists in wearing out the octopus's reflex responses that make the suckered arms so dangerous to swallow. 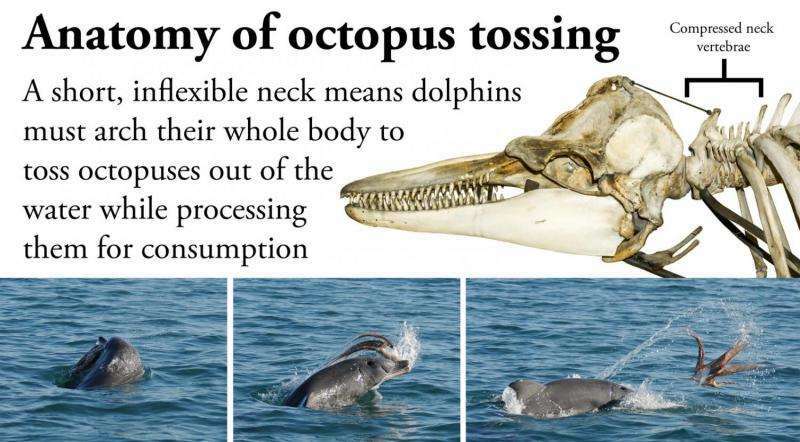 It's quite a process the dolphins have developed to deal with the octopus. They have a short, fused neck which means they have to arch their whole body to toss their prey out of the water. When we looked closely at when these observations were made, we found that the dolphins were targeting octopus more frequently over winter and spring. These cooler times of year are also the octopus's breeding time.